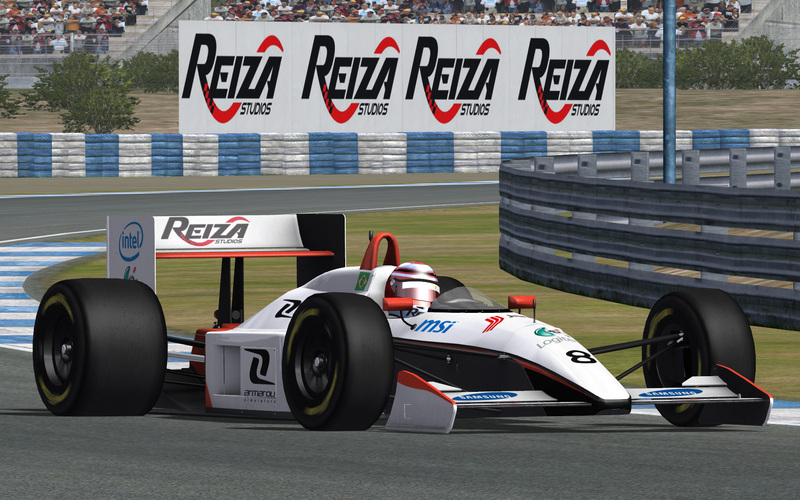 Four months after officially opening for business, Reiza Studios are giving everybody a sample of their talent by releasing the free Formula Armaroli car for rFactor. Made in co-operation with Armaroli Simulators, the Formula Armaroli car is a fictional open-wheel race car modelled after 80s Formula One machinery. The car weighs 540 kilos and is powered by a 650hp turbo engine, bringing some of the best action in Grand Prix history to the simulation. 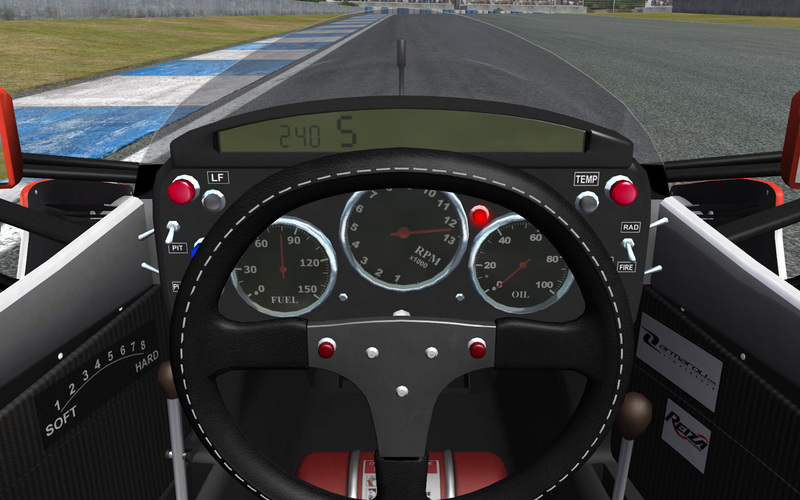 The car comes with RealFeel-compatible physics and several upgrade options, including the choice of either analog or digital cockpit gauges and three different shifting options. 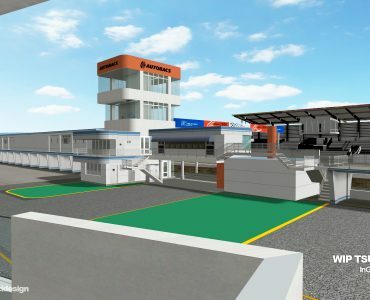 Based in Brasil and founded by Renato Simioni and Fernando Oliveira Jr., Reiza Studios have managed to recruit some of the rFactor community’s most talented modders, including The Lonely, SLN, afborro and Niels_at_home. Looks awesome, can’t wait to try it out. I will deffinately purchase a copy of Reiza official work once packaged. This is very nice, brilliant job by the guys at the studio. 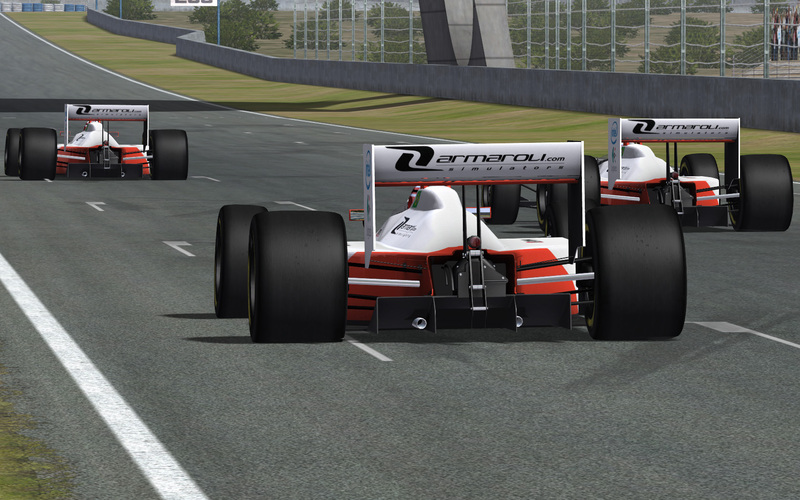 Blows all other rFactor single seaters away. Top work. 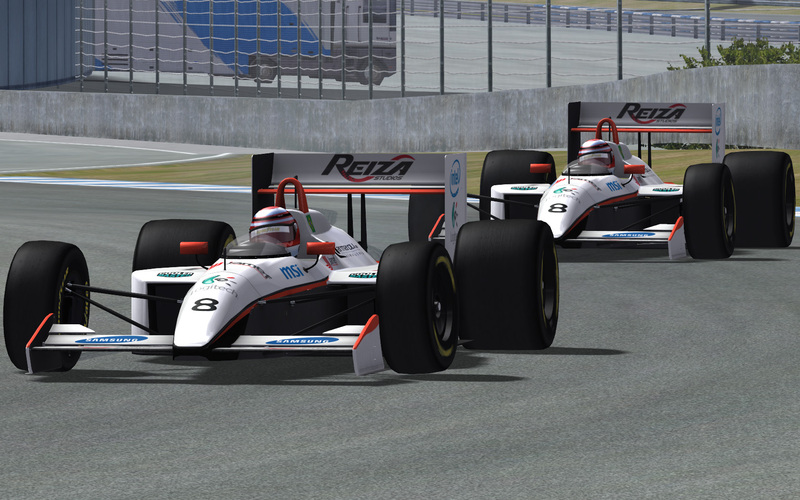 Moose: Blows all other rFactor single seaters away.Top work. It really does. Fantastic mod in every way! A+ mod. you can feel everything the car is doing on wheel the first three gears are 😯 😯 . the only and slight problem is that its little bit FPS hungry. Outstanding in every way… An instant favorite. Never thought rF would be able to deliver like this. Well done guys, this has really made me even more excited for what you have in store! simply amazing i would drive that thing til’ tomorrows f1 race non stop but my girl is here tonight. can’t til shes gone. sunday will be amaroli day. Thank you for this release I just love it great tires and suspension physics. That´s is truly proper tire physics great ffb. thx …valeu Simione. Thank you Nils and Reiza Studio. Just amazing. The F1 88 look is not my favorite, but the way the car behaves is outstanding. a perfect mix between simulation and sheer fun to drive. 😮 Another excellent surprise! I think I could get used to this release format, it’s the most exciting by far. Fantastic work. Feels great, sounds great, looks great. Drives the way it should too. Now we just need templates as it’s a little light on skins (will be rather dull with the same skins online). The gear LCD is unreadable for me too, can’t read what gear it is. But for a first release… Wow! Mind you, the LCD issue may be just on my side as the screenshots show it as working fine. Also the sounds are brilliant, this is from someone who’s always too picky about sounds. Excellent job! Feels great, cockpit it’s just marvelous and the taste it’s sweet and acid :)at the same time. Not over exaggerated physics… everything at the perfect point. 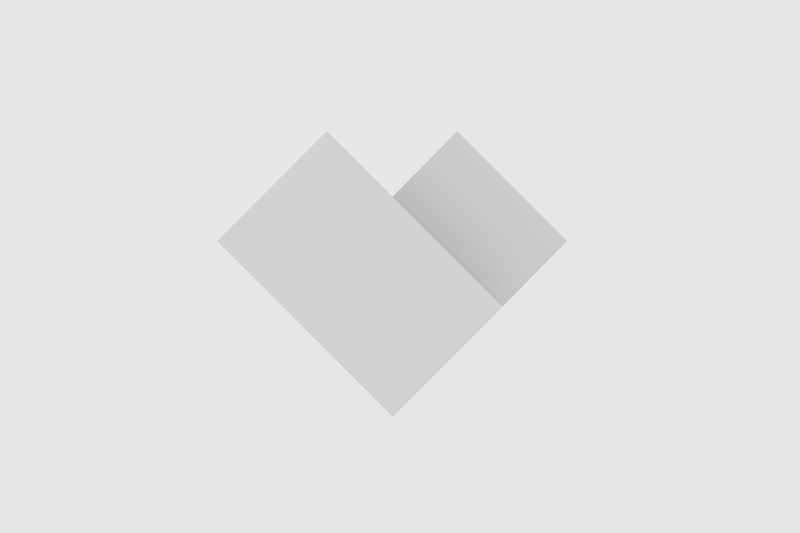 I have made some colourfull league skins based on the single one that comes with this mod. svizzy: simply amazing i would drive that thing til’ tomorrows f1 race non stop butmy girl is here tonight. can’t til shes gone. sunday will be amaroli day. You so deserve to never get laid again. Wish I knew your girlfriend. I’d show her this. Nice to see The Lonely involved. Hey guys… I tried these settings and they feel better than the recommended realfeel settings… what do you guys think? Smoothing adds sort of a lag to the FFB which could affect things, plus the harshness of the -1500 can be masked a bit by smoothness and damping. Do you happen to know if the Fanatech Porsche 911 GT3 RS Wheel is any better in this area? What about stuff like the FREX FF wheel? Is that capable of giving a better representation? …oh, just a +1 on liking the car. Only did a few laps at Sepang (which I haven’t driven in ages), but I really liked the driving model even at default. My one tiny criticism is that I wish you allowed for hires mirrors. Perhaps as an upgrade (dunno if that’s doable). I don’t use virtual mirrors and the low res ones hurt immersion a little. Thanks to Reiza Studios. Great work! It’s awesome but the cockpit graphics could be improved. Currently CARTFactor remains as the best rFactor mod. What’s with the front ARB? Were they really this strong :P? 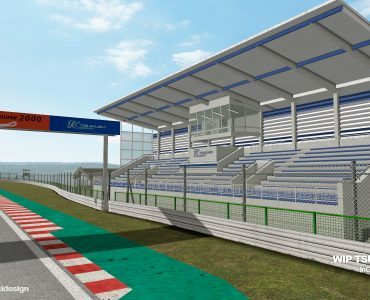 commodore Currently CARTFactor remains as the best rFactor mod. 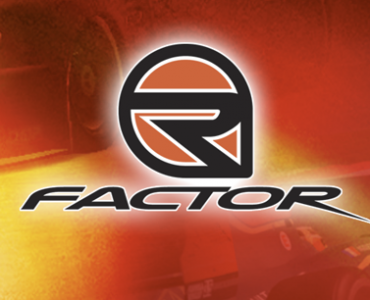 Agree with that.. CartFactor is the best single seater mod for rfactor. fpol:My one tiny criticism is that I wish you allowed for hires mirrors.Perhaps as an upgrade (dunno if that’s doable).I don’t use virtual mirrors and the low res ones hurt immersion a little. Exceptional mod, good thing I’ve got time to enjoy. I see one other person is having probs with the HUD. Anyone got a clue how to make it more visible? I cant read it either, way to dark. I hate having to have the overlay HUD up. It could do with being backlit really. Huge bug with suspension when u change some settings the car looks inclined on the track with tires sinks on the ground and the others on the air. like in ctdp06 mod. on ctdp06 u cannot change the high height on Formula Armaroli I dint find yet maybe is arb or dumpers dont know yet. the problem was seen on online race. Reiza Studios and Dev team, you have truly warmed my heart. With releasing this car to our community as a gift shows that you have confidence in your creation, self belief in your abilities and kindness with your act of charity. I for one will be patronizing your business for sure. All the best to you and thank you so very much. Outstanding work! Especially the “feel” of the physics. Thank you guys! What a wonderful mod this is! Great physics, great “realfeel” FFB, very good looks! 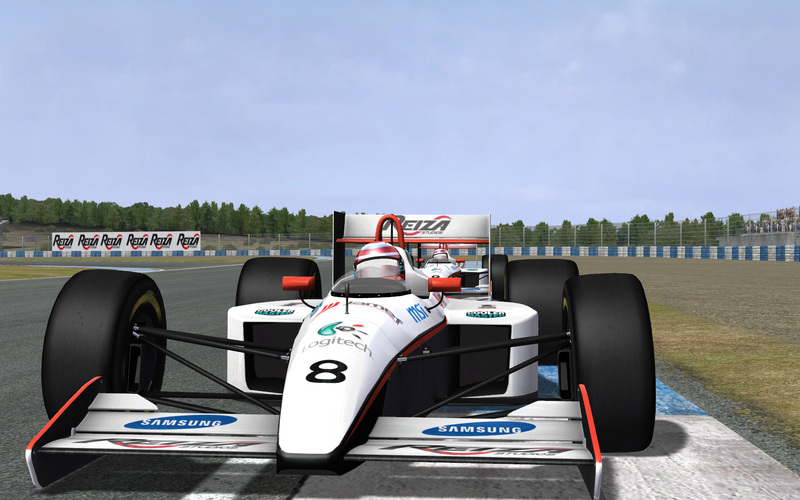 IMO, this is the best reproduction of a pre-modern open wheel car in rFactor! GonZo: … Do you happen to know if the Fanatech Porsche 911 GT3 RS Wheel is any better in this area? I think the Fanatec GT3RS wheel is better suited for “RealFeel”, since its FFB is 1.5x ~ 2x times stronger than G25 (by my subjective feelings), with similar control panel settings (100% FFB strength). Basically, this allows for much higher absolute values of MaxForceAtSteeringRack, which leads to a more detailed FFB. In example, I’m using for this mod MaxForceAtSteeringRack=-3500 with the GT3RS wheel. And could go even higher to -4000 or more (in absolute value). In other words, this blows them away, hands down. 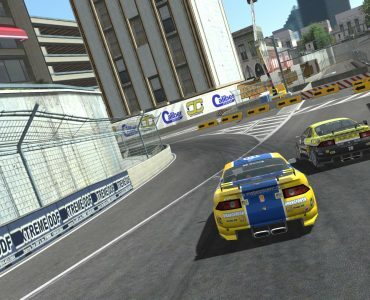 I installed a bunch of Armaroli skins from NoGrip and I went to Barber and game “blips” every so often when lapping with AI cars. Causes cars to blip to the left about a foot and I spin out. Gonna uninstall skins and retry. Will give update in a bit. UPDATE: I uninstalled skins and went to Birmingham and Mid Ohio. If you race along side the AI cars, when you are going thru some of the turns, the cars jerk to the left. Not turns left but the whole car darts to the left. Seems to happen when I am in the second lane from inside and an AI car is on the inside. I can see cars ahead of me jerking also tho. Not sure if it does it going thru a left turn or not. Can anybody else replicate this? This is installed in a “clean rFactor” install. I know this is going off topic a bit, but this idea sounds clever and intrigues me, Niels when you say “whatever number telemetry shows me in a fast bend” what number are you refering to – the tyre load? if realfeel uses steering rack forces, do you add the load from both front tyres or anything?